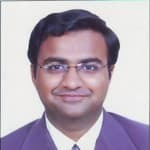 Dr. Nirav Patel is a renowned Pediatrician in Gota, Ahmedabad. He has over 13 years of experience as a Pediatrician. He has completed MBBS,D.Ped.. You can meet Dr. Nirav Patel personally at Shree shreeji women's & Children's Hospital in Gota, Ahmedabad. Don?t wait in a queue, book an instant appointment online with Dr. Nirav Patel on Lybrate.com. Lybrate.com has a number of highly qualified Pediatricians in India. You will find Pediatricians with more than 30 years of experience on Lybrate.com. You can find Pediatricians online in Ahmedabad and from across India. View the profile of medical specialists and their reviews from other patients to make an informed decision. He is one of the best Pediatrician, having wide experience. He has expertise to diagnose all type of children diseases & their treatment. He has latest knowledge of all type of vaccines & all vaccines are available at hospital. There is one another doctor bhavesh Patel MD physicians. Who did not good as MD. we do report which came tomorrow but they did not respond for collection. We did go for report after a week then they said. Excellent paediatrician with plenty of knowledge of his field.. Patient friendly hospital in my gota and newranip area. HI, My younger brother new born baby 8 days old uska heart me hole he. I am so worried give me any good suggestions. What should we do? Heart hole (congenital heart disease) has two main type, Cynotic & Acynotic type. Usually Cynotic type needs urgent intervention. So you get one ECHO report done as soon as possible & take pediatric cardiologist's reference for further line of treatment. All heart hole is not serious. My son 4 years old, yesterday his temperature suddenly increased and I went to the doctor he prescribed lbucon plus suspension and taxim o syrup However, after 4-5 hours temperature suddenly increased upto 103 and after giving the lbucon its reducing the temperature but coming again after 4-5 hrs, please help. If fever is Persistant more than 48 to 72 hours you need to do basic investigation (blood & urine report). Meanwhile maintain proper hydration by giving plenty of liquid orally. The government of India has started initiative for Mr. vaccination from 27th Nov 2018 for kids from 9 months to 15 year old. Please suggest if there are any extreme reaction on this heavy dose? I have appointment for my 10 months tomorrow for MMR as it is, but the govt says Mr. is compulsory. As per the government guideline you go for Mr. vaccine first & after 3 month you take your child for MMR vaccine. I want a prescription for Zostavax vaccine & pneumovax23 vaccine as I want to get vaccinated. You can get your vaccination done from local Pediatrician but as they are special vaccines you need to inform doctor prior going there as they have to arrange it specially for you. My son was given Rotateq vaccine in 6th week and Rotasure in 10 week is it fine both are different vaccines. Please suggest if there would be any health issues and which brand would be advisable in next due course. Both the vaccines are having slightly different micro composition so ideally you should not interchange them. But if you have already done this mistake go for Rotateq for last dose. Q: what is nipah virus? A: nipah virus was initially discovered when it caused an outbreak of brain fever among pig farmers in malaysia. Q: should I be worried? A: a little. As it is transmitted from person to person and there is no effective antiviral therapy for this infection. Q: who is at high risk? how is it transmitted? A: 1. People working with pigs and consuming pigs. 2. Farmers who come in contact with bats. 3. Consuming fruits which are already bitten by bat. 4. Contact with people who already have nipah virus infection. Q: what are the early symptoms? A: the initial presentation is non-specific, characterized by the sudden onset of fever, headache, muscle pain, nausea and vomiting. Neck rigidity and photophobia are also seen. Q: how is it diagnosed? A: the rdiagnosis is by elisa which is currently done at national institute of virology, pune. Q: how is it treated? A: supportive care is the mainstay of treatment and infected patients may require intensive care monitoring. *there is no approved specific therapy for this infection*. So prevention is the only cure! Q: how do I prevent it? A: 1. Avoid contact with pigs and pig handlers. 3. *avoid consuming raw fruits,* consume only well cooked, clean, home made food till the outbreak settles down. 4. Preferably use n95 mask while travelling or working in public places to avoid person to person transmission. 5. Be aware of the symptoms and report to the doctor immediately for early diagnosis and treatment. My daughter is 8 weeks old. Please suggest can I give her Ist dose of Rotavirus vaccine and PVC before 13 weeks. You have to start ROTAVIRUS vaccine before 3 month 14 days of age. For pneumonia no such age restrictions but 3 doses needed before 6 Month & if you start after 6 Month 2 dose plus 1 booster at 15 month.